Last night, my school had parent teacher conferences. Even though I only had one parent show up, last night was productive. The parent who came was crying happy tears because of how much more confident her child has become this year. Later after talking for a while, we both realized we were Christians. The mom told me and another staff member about a great Christian singer, Jonathan McReynolds. I ended up listening to his song “Pressure.” It’s such a great song with a great message. I hope you enjoyed listening to the message from Jon. He is truly blessed by God. Anyway onto the recipe for today. 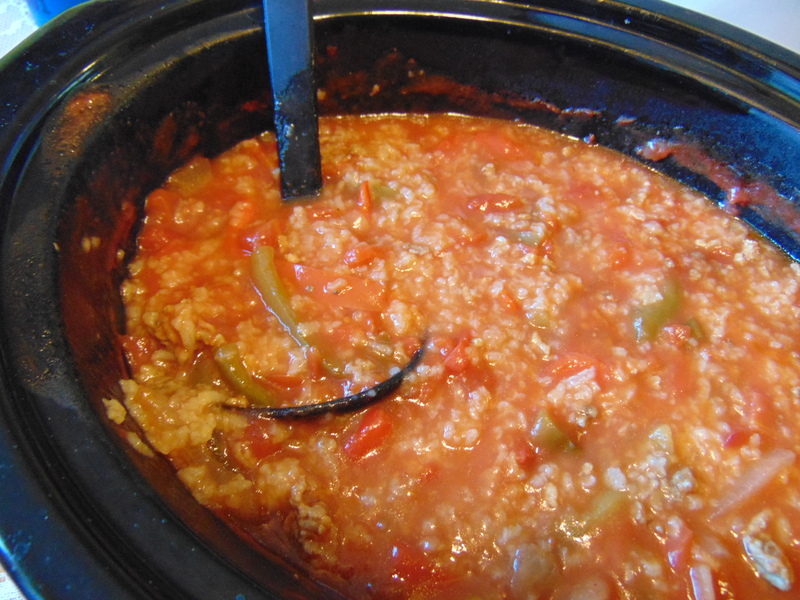 On Monday, I made stuffed pepper soup using some of the bulk hamburger I cooked up over the weekend. I put the rice in the slow cooker when I put the rest of the ingredients in the slow cooker. The rice ended up falling apart after being cooked for that long. If you make the soup and decide to put the rice in at the beginning, use brown rice instead of white like I did. Or cook the rice at the end and then put it in the bowls as you serve up the soup. It’s your decision. Oh, I used a 6 quart crock pot. 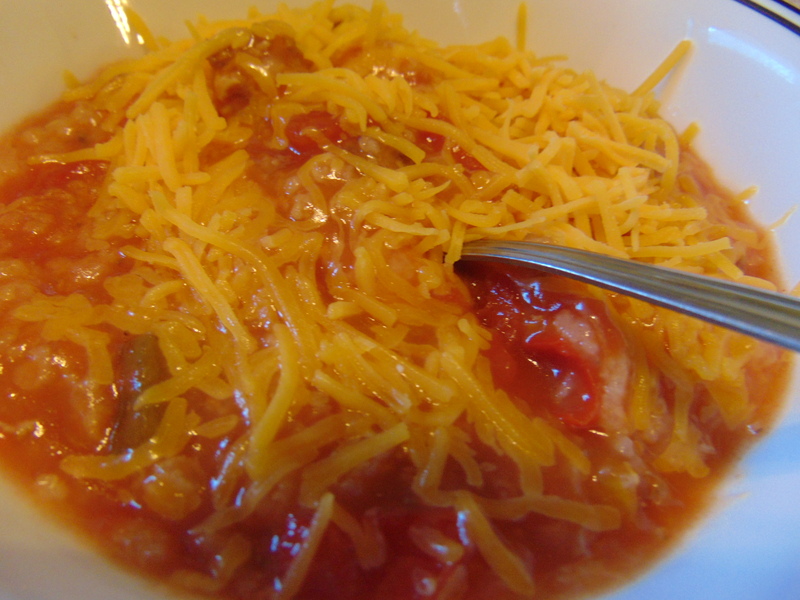 Place all ingredients into your crock except for the cheese and rice if you opt to make the rice at the end. Cook on low for 6 to 8 hours or on high for 3 to 4 hours. (OPTIONAL STEP) If you opted to make the rice at the end, make the rice. Place about 1/4 c. of cooked rice in the bowls before servings. To check out the rest of the recipes I’ve shared during this challenge, click on this link. Oh and please check back during the first week of November. I’m planning a small giveaway. No, it is not a crock pot. More information will be forthcoming about the giveaway.